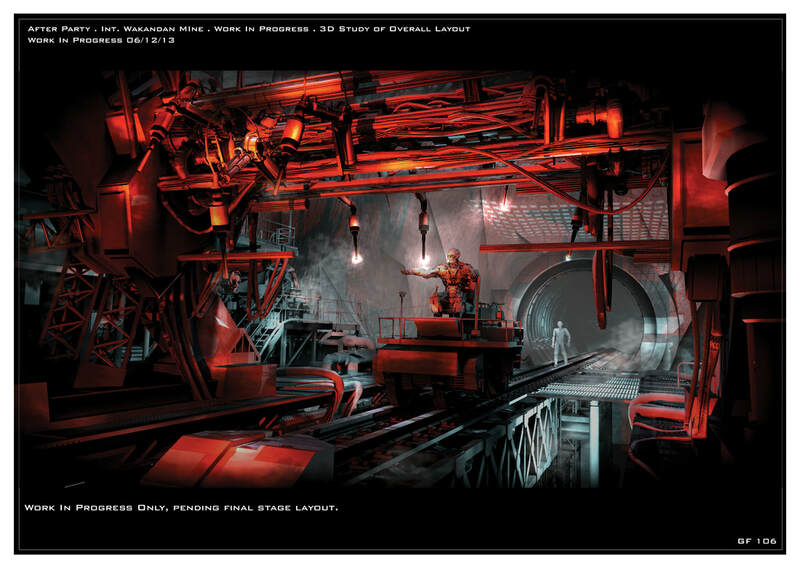 Early 3D study for a deleted scene. Space layout & scale. Below: preliminary Stage Layout Study.